I love it! Judging from those inspiration pics, the nursery will be darling! I love this colour combo for a nursery! Can't wait to see what you come up with. what a perfect color combination! I'm inspired to have these shades at home. LOVE them! I half expected to see a picture of my own orange rocker! How egocentric of me! HAHA! But seriously, so freaking cute. All of them! It will be loads of fun watching this process. I hope you will keep us posted. So exciting. This is so pretty! Love the inspiration and I am loving it! Wonderful mood board! Wow - it really makes you happy!! I can't get enough of that color combo!!! I love this color combo! Great for a boy or girl!! Oh, i love it! You're sure to have a warm and loving nursery! I'm glad you spotted that Thomas Paul fabric - I thought of it yesterday and meant to tell you about it. It's darling for a nursery! Also the colors. Can't wait!!!!! Oh, it is going to be awesome...love the color combo. Funny, I just yesterday ordered a sample of the aviary in maize to see if it would remotely go with my color scheme for our nursery. And, you know I love the moldings on the nursery you posted! Cannot wait to see how your vision evolves. Averill you must use this! Too cute! Seriously! And I see a cute DIY mobile in that first picture! I used the same hoop to make the mobile for my nephews nursery! Great combination. Hope you have the time of your life decorating the nursery for you little guy or girl. Loved these last two color posts. I'm a big aqua fan and orange makes for such a cheerful pairing. Perfect for a nursery! I had forgotten about Blueprint magazine! I remember this baby shower - really cute. So is this the nursery plan? :) Great colors. Can't wait to see what you end up doing! Can't wait for the reveal...know it will be wonderful! First time on your blog. I LOVE IT! 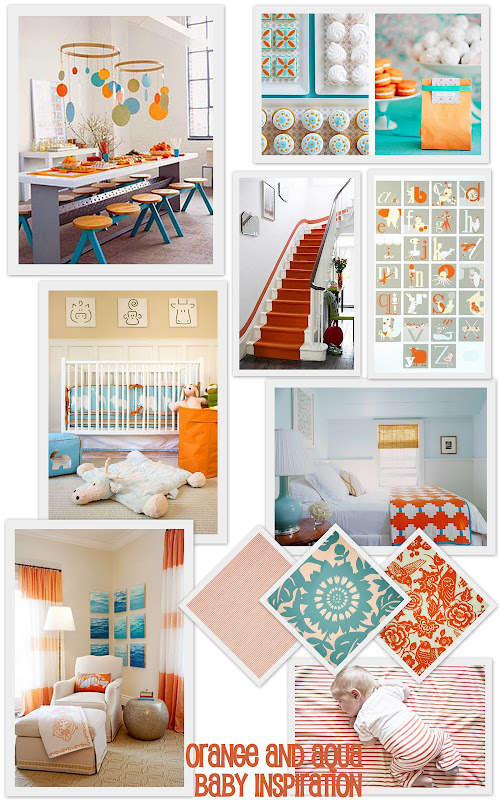 And I love these inspiration for an orange and aqua nursery. Definitely one of my favorite color combinations. I'm actually redoing my dining room in a similar color palette. Love this color combo for a nursery. That print from Serena & Lily is one of my favorites. Can't wait to see what you do. What fun! ps- please drop by to enter to win a custom window shade! That's gonna be one happy baby. Very classy and simple.I have a website about Royal Bambino. Natalie Umbert makes me happy. It's Great To Be Home . . . 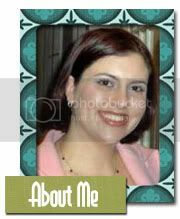 Using elements from Angione by Jesse Edwards.